I got into trouble this week for using the phrase ‘Gentlemen, start your engines’ as it is clearly pejorative. If the title of today’s entry offends you I would point out this is part of a well-established idiom and frankly if it bothers you that much it’s probably best that you just stop reading. I’m pretty liberal as a rule and I’d say I lean a fair bit towards feminism, but frankly there’s sensible and there’s PC gone mad. Shoo now. Right then, to the matter in hand. Pitlord Head on a Stick = PROFIT. It’s been a week of obtaining cash from odd sources, if truth be told, quite aside from the mining bonanza. I’ve been trying to finish the Shattrath Fishing Dailies on a couple of alts, and one of the fishing bags coughed up a pair of Antique Silver Cufflinks. A quick squint on my auction house data told me these sold for 150g, which I have to admit I found hard to believe, and decided to put them up as a test. They’d gone by the end of the day. Colour me stunned. 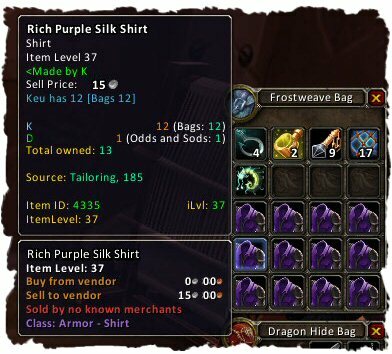 Having had a clear out on the Tailor Mage in anticipation of Cataclysm, I found myself with 48 Bolts of Silk Cloth I was fully prepared to vend. In a moment of madness I decided instead to make what is my favourite shirt of the last five years: the Rich Purple Silk Shirt pattern only dropped in SM, and with such a rarity the pattern itself could command a four figure sum. I’d made myself one as it’s the best match I’ve found to Mage Tier 10 gears, and I settled on a 30g buyout price. At time of writing I’ve sold six, and I’ve made up a few more with the last of the mats I’d got in my bag for the weekend. It’s true, people will buy the strangest things. 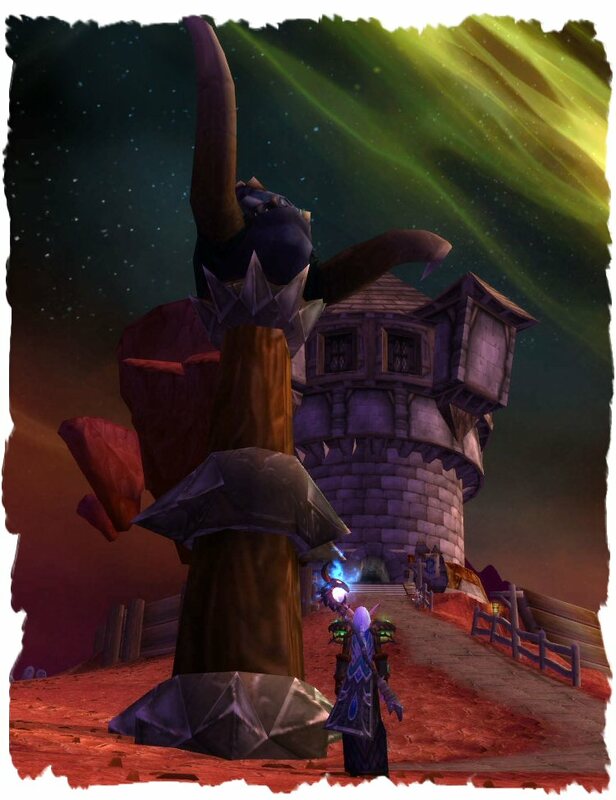 You should take a look at wowprospector.com and see if you're selling it for too little. Or, try prospecting it yourself and selling the results to people leveling JCing.